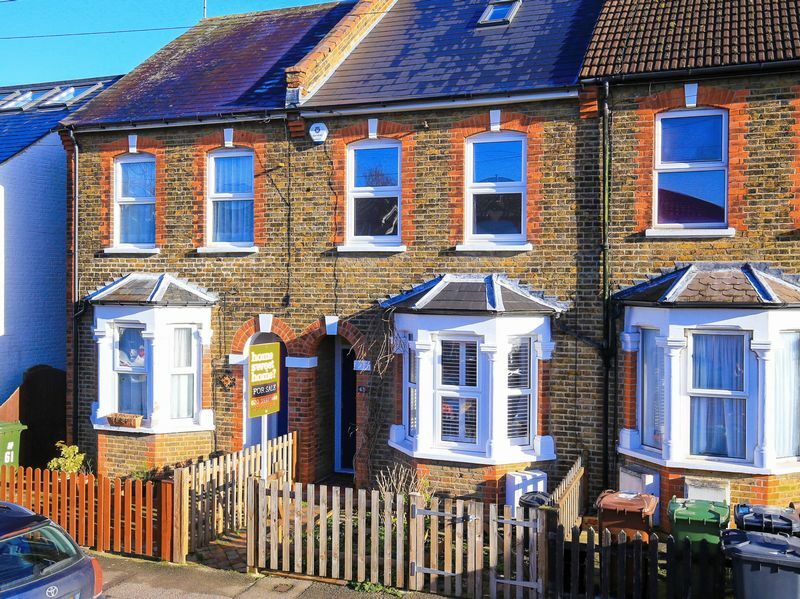 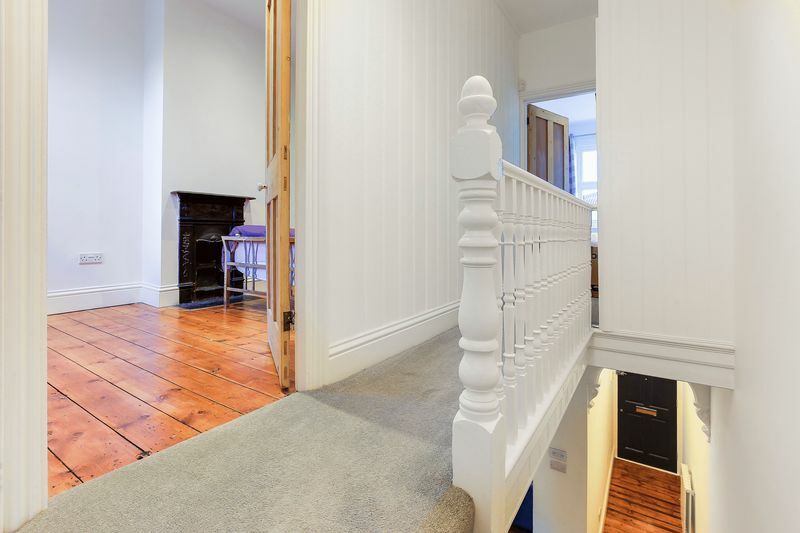 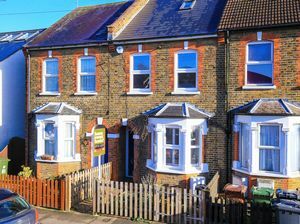 A delightful, spacious Victorian property in a prime location, just a moment’s walk from Elstree & Borehamwood train station and Borehamwood High Street. 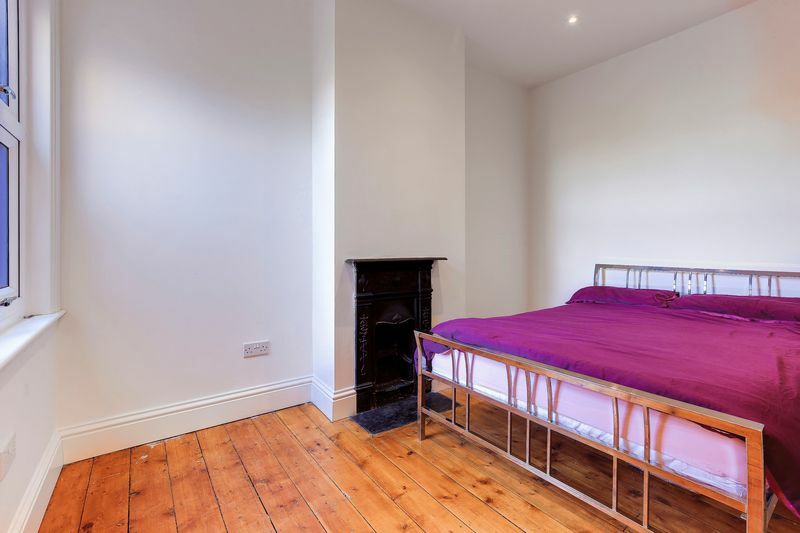 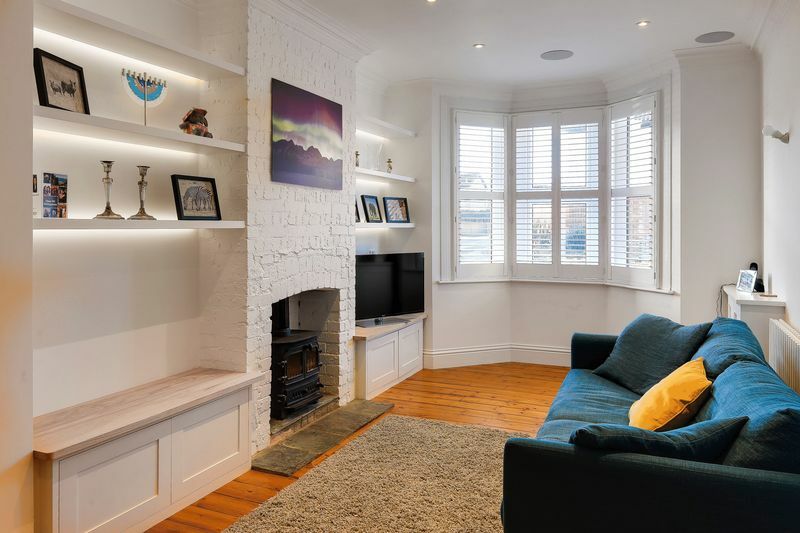 It is recently renovated and finished to an exceptionally high standard. 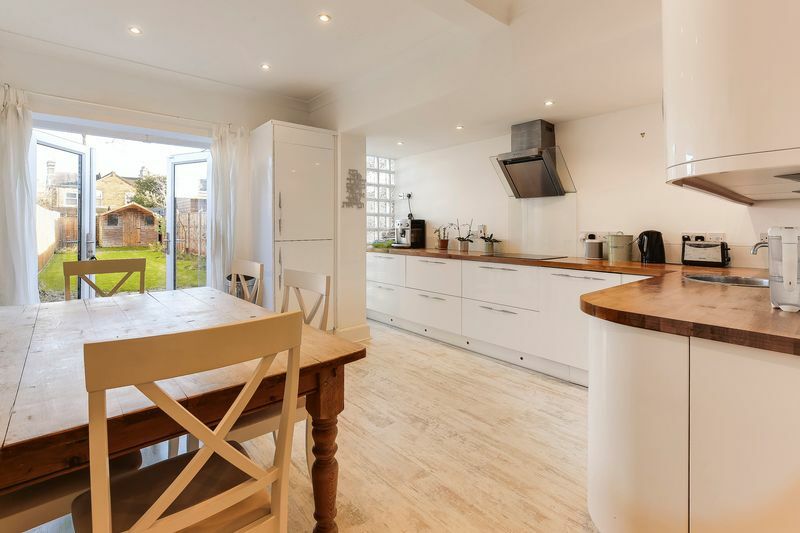 It benefits from four bedrooms, a large reception room, spacious kitchen/diner, family bathroom and additional downstairs WC/shower room. 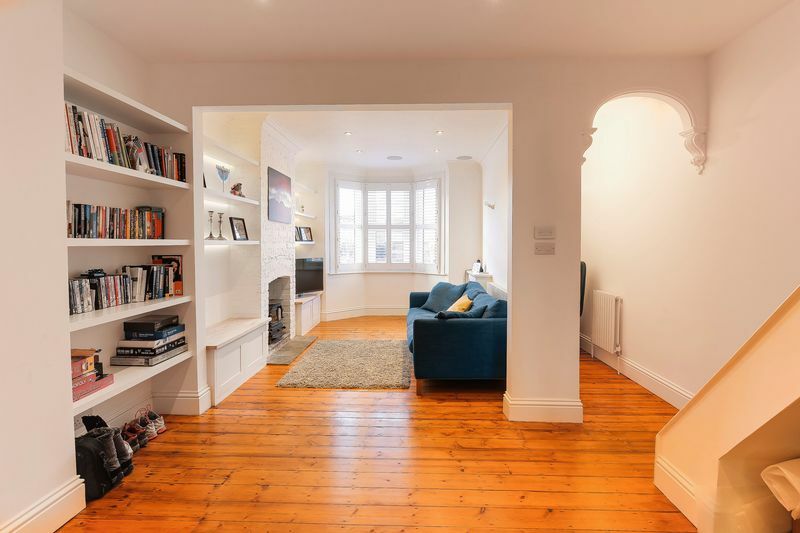 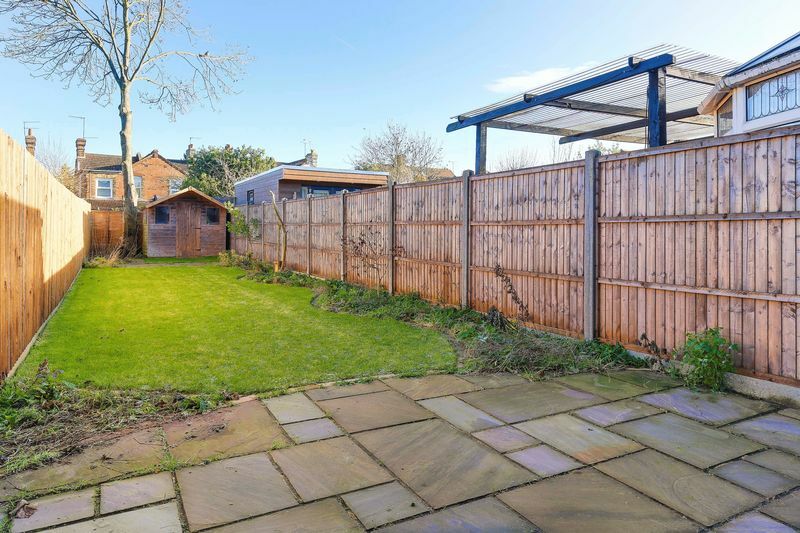 The property has high ceilings throughout and a lovely, landscaped 73ft rear garden. 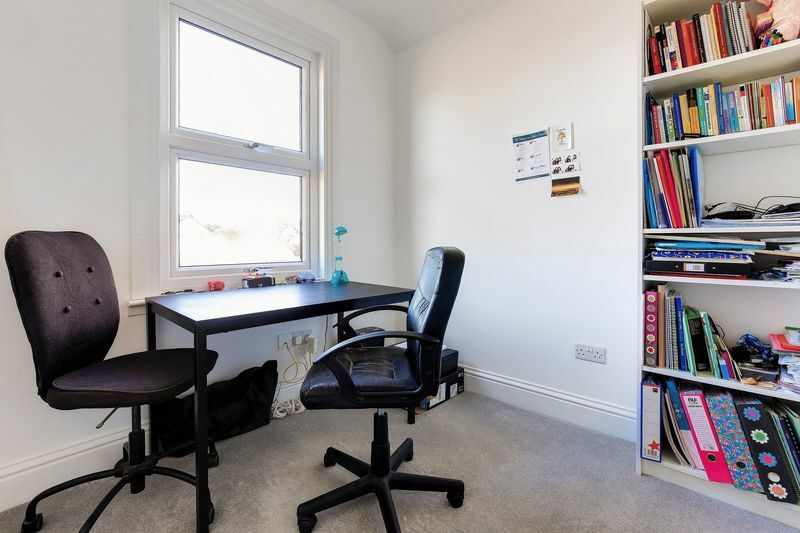 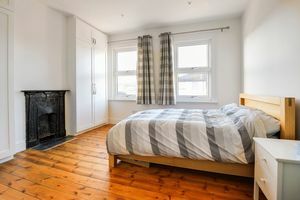 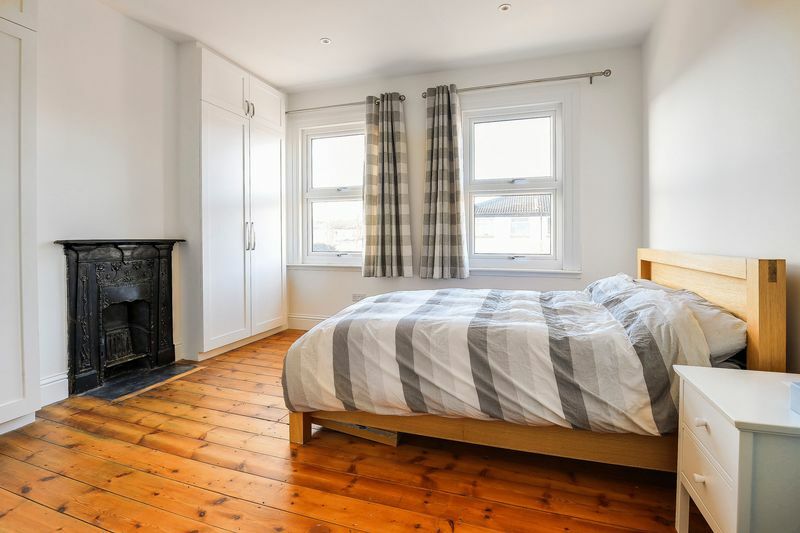 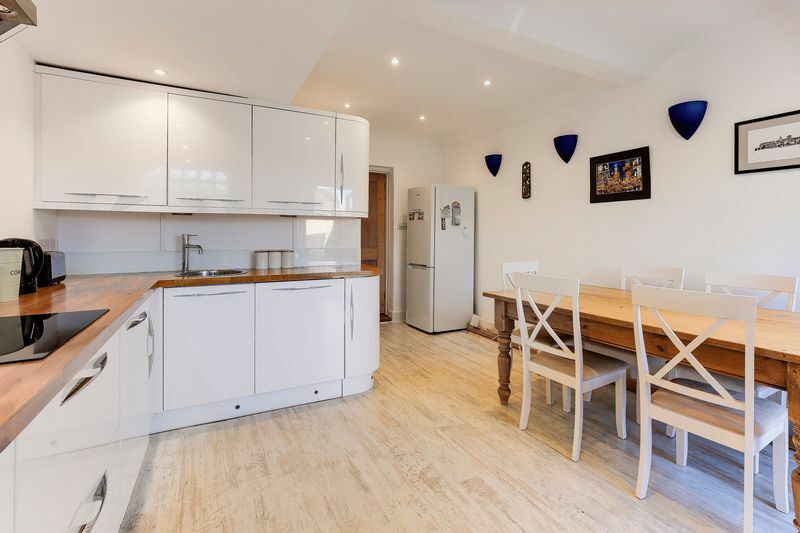 It is perfectly located for the amenities of Borehamwood, including local shops, restaurants and places of worship, and within the catchment area of local schools such as Yavneh College. Wood floor throughout, double glazed bay window to front aspect, radiator, spotlights, speakers built in to ceiling, wood burning stove. 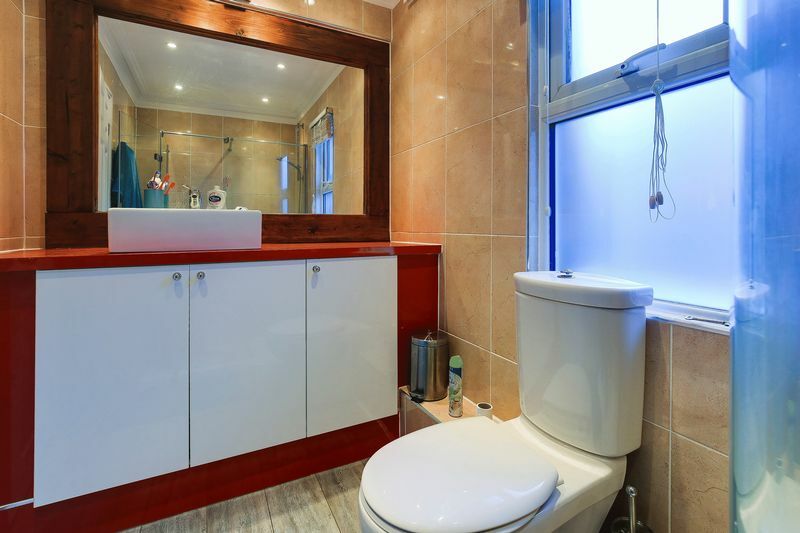 Fully tiled floor and walls, low level WC, wall mounted basin, spotlights, overhead shower. 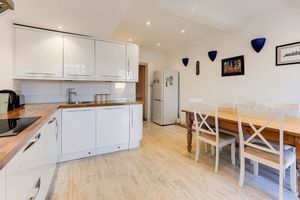 Laminate floor throughout, fully fitted units both wall mounted and base, integrated John Lewis double oven, integrated Zanussi dishwasher, integrated Indesit washer/dryer, induction hob, radiators, spotlights, frosted window panel to rear aspect, double glazed doors to rear aspect. Wood floor throughout, radiator, spotlights, double glazed windows to front aspect, built in wardrobes. Wood floor throughout, radiator, spotlights, double glazed window to rear aspect. 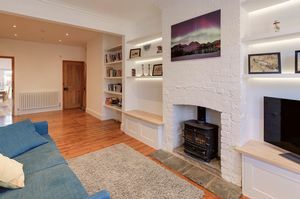 Carpeted throughout, radiator, spotlights, double glazed window to rear aspect. 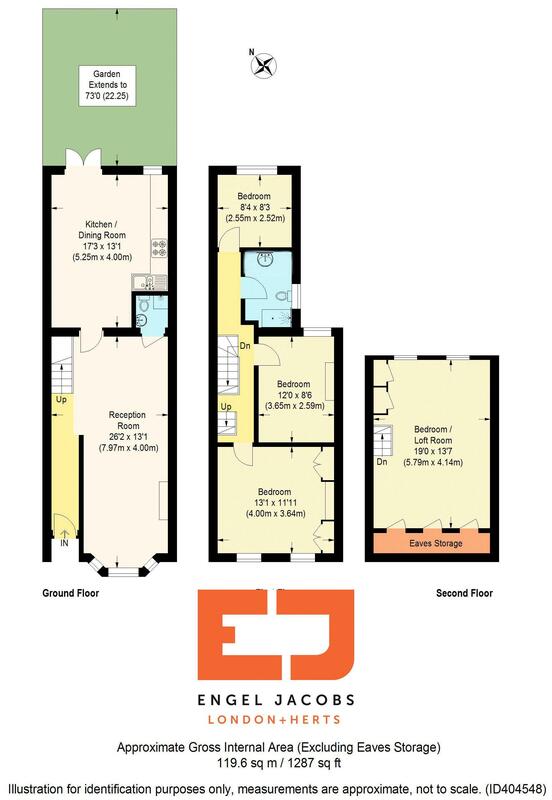 Fully tiled floor and walls, shower cubicle with overhead shower, heated towel rail, low level WC, storage cupboards with basin on top, spotlights, obscured window to side aspect. 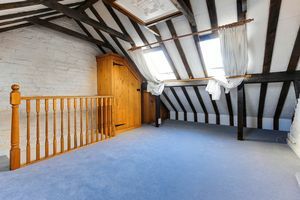 Carpeted throughout, roof windows, built in cupboards and wardrobes. Extends to 73ft, patio area, laid to lawn, further patio and shed at the rear.